After releasing one gut punch of a Full-length on December, 2nd of 2016, our Boys in As A Conceit are here with a live recorded session of “A Should with A Must” from the debut full-length album titled “Frown Upon Us”. FFO: Artists such as Architects and Northlane, these Progressive metallers administer a chilling dose of technicality laced with subtle melody, all the while without losing sight of the message these gents aim to deliver: anger, dismay but at the same time, a sliver of hope for the world we live in. And the timing for such feelings has never been more spot on. For any fan who enjoys technicality, ambiance and gut-wrenching vocals supported by a radical musical assault, or for anyone who’s enjoyed the latest Architects albums, this is an album that should not be missed out on. ‘A Should With A Must’ is the last song off our last album ‘Frown Upon Us’. This song is about our society in modern life; about being constantly pushed to be and to think what we are and what we think, day after day, in a neverending brainwashing lead by mass media, governments and multinational corporations; about the personal struggle we all lead to not be defined by others and to find our own identities. 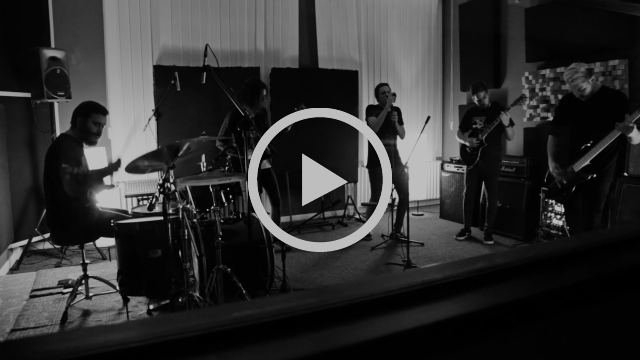 We decided to film this live session because to us is one of the most fun and energizing songs to perform live, if not the most one, and because we think it encloses a meaningful message we should all regularly take some time to reflect upon. Prog Sphere says, “Epic refrains, Headbanging breakdowns, Goosebump creating interludes should encourage you to purchase this album”. New Transcendence gave the album a 9.5/10 and also said, “Frown upon us is a journey, clutching the listeners by the ears and bringing them along on an adventure through dissonance and dazzling ethereality alike”. Formed in 2012, As a Conceit is a five-piece metalcore act calling home to the ever so famous Venice, Italy. AAC debuted their first single “Live Up To The Hype” in early 2013 whilst playing countless regional shows, the band followed up their debut in late 2013 with their Music Video of the single ‘Living Entities’ bringing a solid flow of new listeners which laid the foundation for the 2014 release of their EP entitled ‘Ebb/Flow’, contributing a more melodically driven and aggressive sound that was sure to stick through to the 2015 release of their Music Video for the single ‘Transient’ displaying the more melodic direction that the band was surely heading. After much anticipation, the quintet released their debut Full-Length Album on Dec, 2nd 2016 via Famined Records with plans for a European Tour come March 2017.